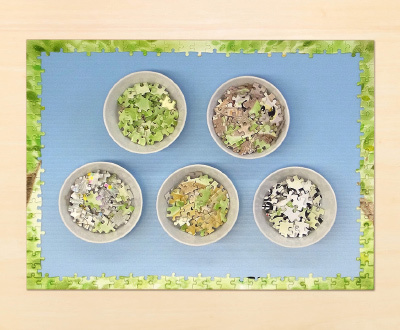 How to Enjoy Puzzles | APPLE ONE Inc. Jigsaw Puzzles | Products information About APPLE ONE Inc.
First, choose the edge pieces (one side or two sides are straight). Separate pieces into related groups (colors or images). Make the border with the edge pieces (one side or two sides are straight). 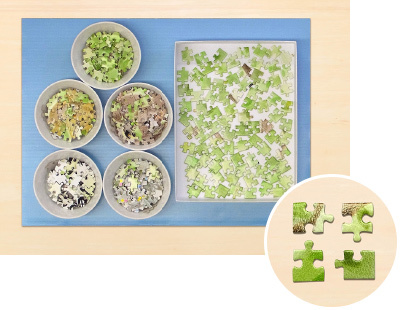 Assemble separate puzzle sections. Fit remaining pieces accordingly. For unpatterned areas of the color, fit pieces by trial and error. Note: The pieces should all fit together properly. Don’t try to force pieces into place. 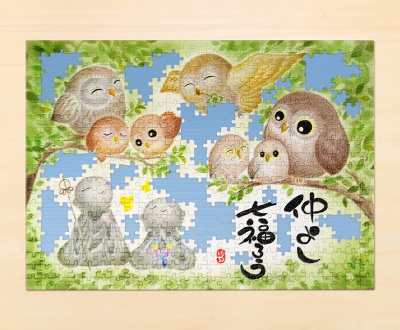 You can enjoy your completed puzzle more if you hang it on the wall! 1.Put the jigsaw puzzle on a big piece of paper as a backing sheet. 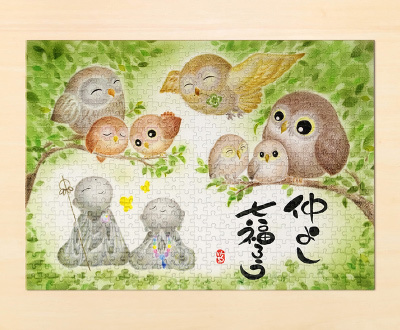 The jigsaw puzzle image should be face up. 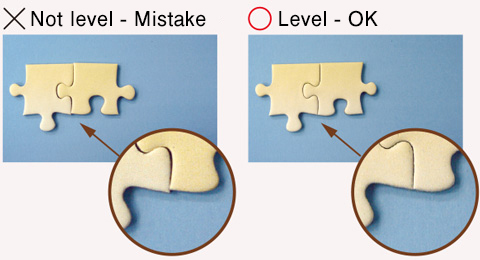 2.Push pieces together toward center ensuring no gaps between pieces so finished puzzle will fit properly in frame. If there are any gaps, the glue will get in between, which makes the overall size bigger. 3.Cut corner of glue pack and spread evenly on the puzzle surface. 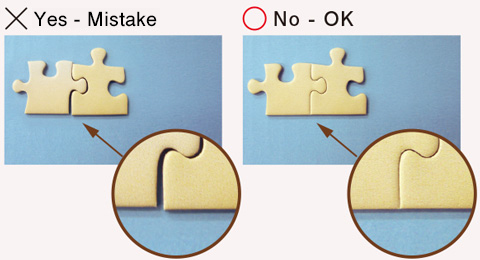 Slide the sponge toward the center to keep the jigsaw puzzle flat. 4.Please allow 12-24 hours* for the glue to dry to a gloss finish. *Depends on temperature and humidity. If you have difficulty with a specific part, you can leave it and go ahead with other parts. Then, it might be easier to complete with fewer remaining pieces. Are there any gaps between pieces? Let’s count the numbers as per the below list. You can reduce mistakes and complete easier.